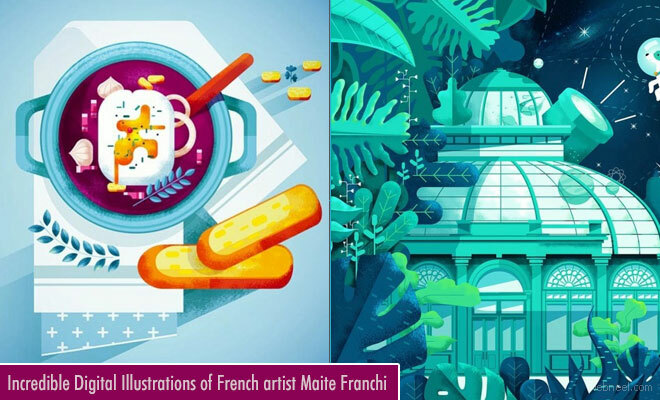 Digital Illustrations of French artist Maite Franchi are a mixture of plants, animals and especially food. Maite Franchi is a freelance illustrator based in Lyon. The style, luminance and the saturation found in the illustrations of Maite are to be noted especially. The effects such as glows, soft shadows and textures used in her art works are unique and stylish. Though her artworks are less she has good number of followers for all her creations. Maite's digital illustrations remains unchanged, pop and colourful with a grain so recognizable. Let us explore few of her digital illustrations here.